Singapore is known as a food paradise, with many “created in Singapore” dishes. Friends back home will ask you if you tried the top 3 must-eat dishes in Singapore and you do not want to give them a uh.... what? look! We have like thousands of food outlets selling the same 3 must-eat dishes. So how-o-how would you know which one is the best? The locals will say it makes no difference to the foreign visitors as they will not know what they do not know. I am here to let you in on my favourite (as well as many of the locals’ favourite) stalls, so that you do not waste your calories on the mediocre ones! Bless your kind heart (& stomach) Jane! Great location on a street at the back of the famous Raffles Hotel. There are two similar sounding names so go to the one nearer to Naumi Hotel. 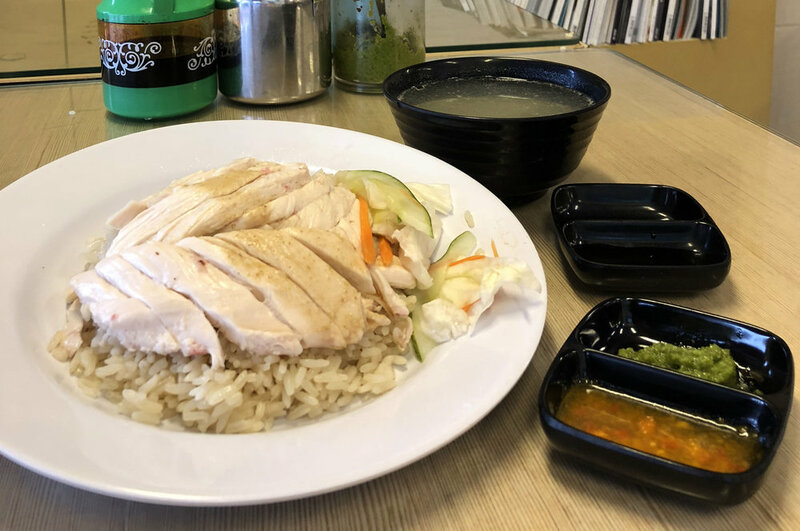 Housed in a huge airy Coffeeshop, you can get a Hainanese Chicken Rice set (consisting of chicken & vegetable soup, rice, poached of roast chicken) & pickled vegetables for S$4.50! The locals know it but how would the foreigners know? Will not mention the name of an over-rated famous Chicken Rice stall who only gives you the chilli sauce. They will only give you the other 2 sauces upon request!Not sure if it is a cost cutting thingy but it is just not right I feel. Also ask for breast meat if you prefer boneless meat. They have other side dishes like deep fried spring rolls, sweet and sour pork and a to-die for signature fried noodles. The locals are still torn over whether Chicken Rice or Chilli Crab deserves the National Dish accolade – we love both to death! Chicken Rice is a more staple every day lunch or anytime meal dish as it is cheap. Chilli Crab on the other will set you back at least S$70 a crab. So be prepared to pay and get your hands dirty as it is messy trying to get the firm juicy crab meat out of the shells. You can ask for plastic gloves but that is not the “right” way the locals eat it. There are many famous local seafood restaurant chains selling the same stuff but I like the one at Jumbo. Crabs are always fresh as their turnover is so high, with 3 timed seatings every night. Reservations are absolutely necessary so you have been warned! There is a little bowl of tea with a slice of lemon on your table to wash your messy hands, so please don’t be mistaken and drink it! Must order the fried buns (Mantou) to dip in the rich sauce. Other notable mentions are the Seafood Fried Rice, Cereal Prawns, Black Pepper Crabs (this is dry without sauce), & Deep Fried Baby Squids. Drown everything with a cold Tiger Beer or a fresh young coconut! Note there are many outlets of the same chain but I like the cooks here best. After dinner, you can stroll along the Singapore River to the Merlion Park where you can catch the laser light show (8pm & 9pm daily, with an extra show at 10pm on Fridays and Saturdays) from the iconic Marina Bay Sands Hotel. Katong is a laid back suburb in the East, about 15 minutes drive from the city area. Katong has many famous eateries and the all famous dish synonymous of the area is Laksa. 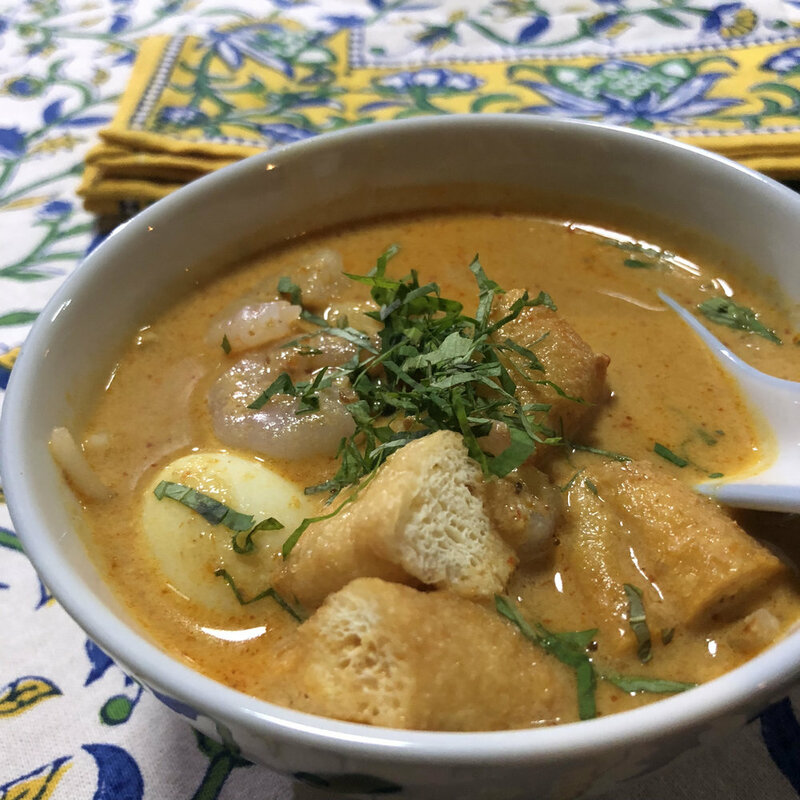 Laksa is a rice noodle dish in a coconut infused curry made of fish sauce, shrimp paste, sambal chilli paste, & sprinkled with chopped laksa leaves. There is a Michelin Guide Bib Gourmand outlet called 328 Katong Laksa, it is good but too spicy for me. I prefer the less spicy version at The Original Katong Laksa. They are THE original original! Here you eat the noodles with a spoon (no chopsticks unlike many other stalls) as they cut the noodles to short strips. There are many stalls who tout the the words “famous” or “original” or “Katong Laksa”...... again you will never know.